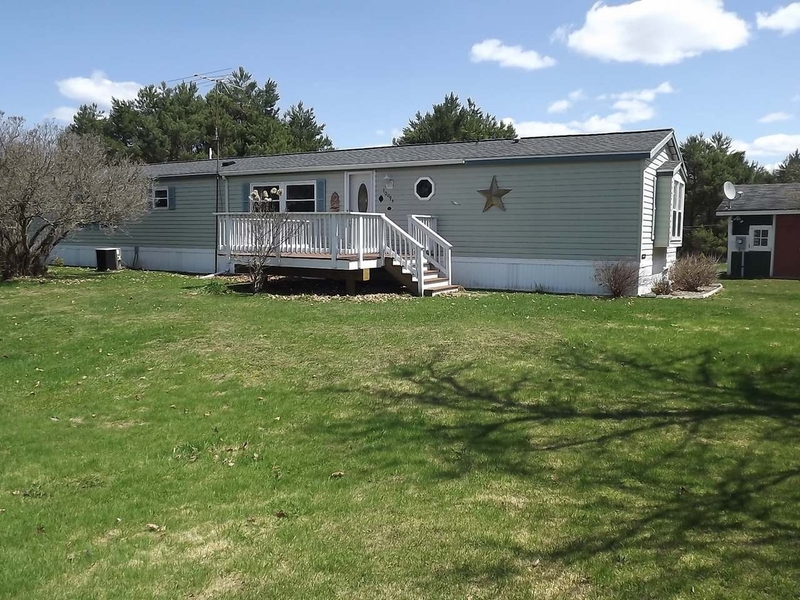 Well maintained 16x80 mobile home, 3 bedrooms, 2 bathroom on a nice one acre lot only 2 miles from downtown Crandon. Home has been updated with first class windows, laminate flooring, doors, furnace, and hot water heater. Year around paved road and only minutes from Lake Metonga and snowmobile trails. The Crandon school and medical clinic are only one mile. This location has a nice yard and shade trees and a drilled well. The garage has an opener and good shelf storage. Front and rear decks for your outdoor enjoyment. SUPER BUY PER SQUARE FOOT. Why pay rent when you could build equity. COME SEE!! !